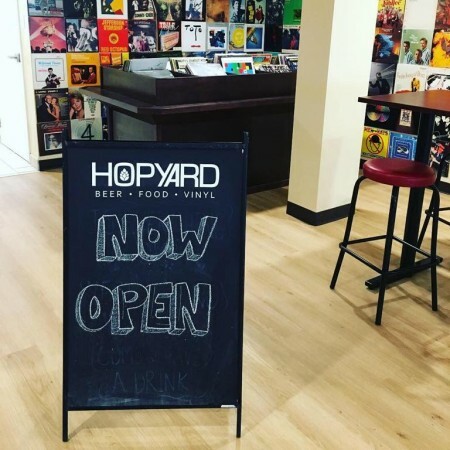 HALIFAX, NS – The Halifax off-shoot of Charlottetown craft beer bar and restaurant HopYard that was announced earlier this year is now open. HopYard Halifax retains the “Beer – Food – Vinyl” motto of the original, with rotating taps featuring beers from across the Maritimes, a menu of snacks and small meals by chef Jane Crawford that will change every two weeks, and a wide variety of music on vinyl for customers to choose from. HopYard Halifax is located at 2103 Gottingen Street. For more details, see the HopYard website and Facebook page.